All videos are fully edited from start to finish and this is included in the quoted prices. A highlight reel contains the best moments that were filmed throughout your wedding. It is often placed at the end of the wedding video. This can be included. What does the video come with? We provide you with four copies of finished DVD's. All will play in any regular DVD player. Photos will be provided in the standard jpeg format on a data disc as well. What if I want a wedding website? A wedding website allows you and your friends and family to view video clips and images from your wedding. This is great when people ask how your wedding went or when you want to send someone an email with a link to it. We can design and create the entire site for you to enjoy for 2 full years. Can we have our own wedding interview? Of course you can. If desired, your interview will be shot and directed at a location of your choosing. Any information or anecdotes will be included. How early do you arrive to film our wedding? Typically, we arrive 45-60 minutes prior to the scheduled start-time and start shooting ASAP. This is totally your call. 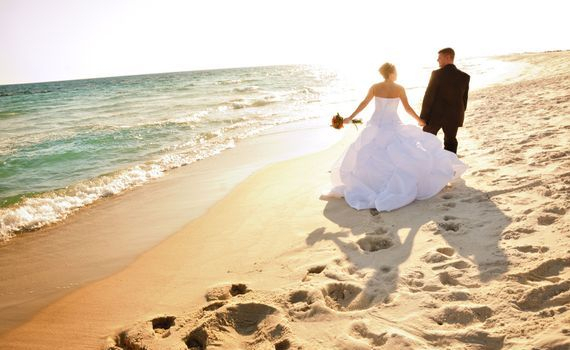 We will consult and walk you through your storyboard, and your rehearsal dinner can be included. How long does it take for our wedding video to be completed? Wedding videos require a lot of details, especially during the editing process. We normally take two weeks, but then again, sometimes it will take 3 weeks. Why do your prices seem lower than other wedding videographers? Thank you. We wanted you to feel that you are getting a fantastic value rarely found anywhere else -- and many clients have appreciated the savings. Being professionally schooled here and abroad, our staff has a talented eye. It is because of this, our editing time is greatly reduced. You don't want to pay extra so your videographer can mail out your footage to a 3rd party for editing, do you? Do you have references and/or reviews we can see? Absolutely. We have references available upon request and we have numerous online reviews. We highly recommend that you do your homework when hiring a videographer or photographer. Deposit is 50% the desired wedding and/or small- business package. This deposit will lock in your date. The remaining balance is due the day of your event.